The word bibliomania itself refers to an enthusiasm for collecting books. In the case of this blog, it's where I review a book every week and compare my favorite books to their cinematic counterparts. Click here to keep up with me on goodreads! 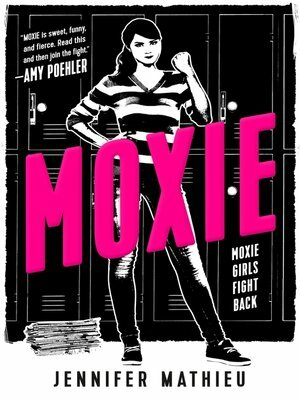 This fast-paced page turner documents how Vivian Carter, a shy, polite girl shakes up her small town Texas high school when she anonymously distributes a feminist zine in an attempt to unite her female classmates, who are frustrated with the sexist school dress code and sexual harassment from their male peers. Vivian’s zine gives the girls at her school a voice and causes a fierce revolution that changes the way readers interpret the definition of feminism. Can you guess the book the following quote comes from? (Bonus points if you can also guess the character who said it) Updated monthly! Hint: Stephen Chbosky wrote this book in 1999.